The seven-course dinner opens up with playful takes on Japanese snacks— a foie gras monaka, for example—and progresses to elevated renditions of simple dishes such as harumaki (fresh spring rolls). One highlight here is the chef’s delicate method of plating. 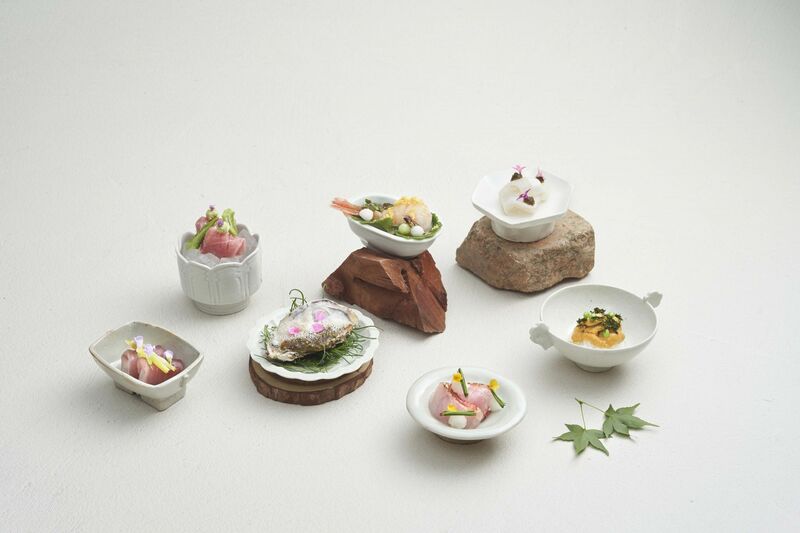 Case in point: the Esora sashimi collection is plated across several small dishes, with each slice of fish carefully seasoned and decorated to perfection. It’s an aesthete’s dream restaurant, but serious gourmands will also surely sing it praises.